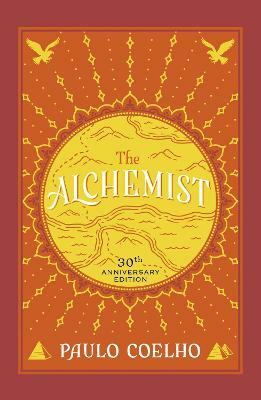 "The Alchemist" is a great book that was written by a Latin American author named Paulo Coelho. The book is about a young boy that feels tried of the same old life and feels a strong and uncontrollable pull to the Egyptian pyramids. He looks at this strong pull as his "personal legend" witch can be also said as the one thing you are determined to do in life. In his quest to his "personal legend" he is able to learn many new thing and learns about importance and impact of travel. I thought that the book did a great job at keeping the reader engaged and intrigue by always have the read think about what the boy was think, and also by the consistent action that is happening on his quest. The author dose a very great job a exploring the feelings of the boy, and a great example of this can be found when the boy is faced with either dying or doing to imposable. This book also makes you just want to go do something and makes you think about your own "personal legend" and what you want to do or what you want to find. The experience you get from the book is very immersive experience that the time just seems to fly by, and it's very hard to put the book down once you start reading. The author uses a lot of repetition of the same themes and repetition of phrases such as "personal legend" and "follow the omens". Paulo Coelho makes the reader think about how we can start seeing omens in our life. The one thing I will say that can be bad is that because there is so much action in the book if you blank out for a second and come back you won't know what is happening so you have to really be paying attention, but it's very hard not to pay attention because it's written so well. This book is perfect for those about to go out in the world and find out what you want to do and get the brain thinking. This book is very well written and has a very good plot that many can enjoyable. The books reading level is that of a young adult but adults can find it great as well. Overall I give this book a 5 out of 5 stars. Another great classic! This is in the same league as The Rag Picker and Acres of Diamonds. You need to read this book. It has many great life lessons. I have no idea why this book is so popular except that it panders to the worst level of mediocrity.. reflecting a world-wide decline in intelligence which is not surprising !!! This book has been around the globe several times....and keeps on rolling. For good reason. On the pilgrims trek to Santiago, he learns much about life that is apropos for us today. I will keep this book and reread it from time to time.